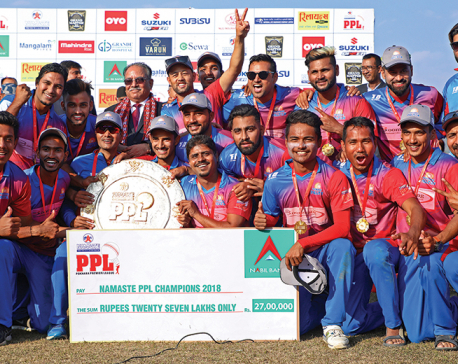 KATHMANDU, Oct 21: 'Pokhara Premier League (PPL)' is taking place in Pokhara from the next week.The cricket competition aims to develop the town into a 'sports city' along with the promotion of local tourism. 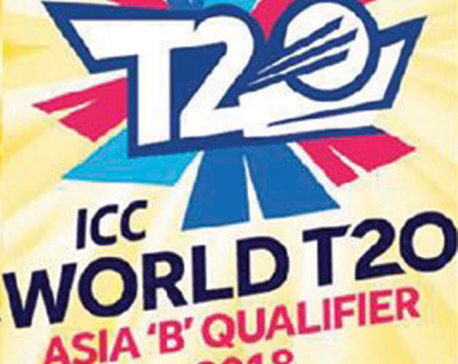 A total of six teams are taking part in the event scheduled from October 26 to November 6. The Queen's Event Management Pvt Ltd is organizing the event. 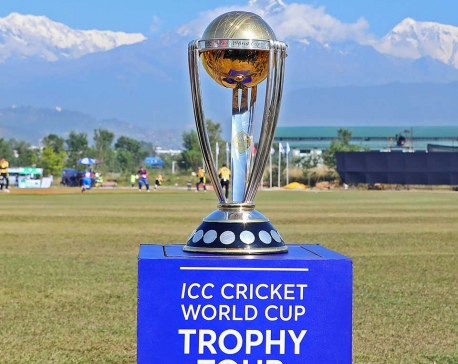 According to organizing committee managing director Chhumbi Lama, preparations for the Twenty20 league to be held at the Pokhara stadium have reached the final phase. From the stadium, a clear view of the mesmerizing Machhapuchhre and the Annapurna mountain ranges can be seen. The organizers are hopeful that the event would support the Nepal Visit Year announced from the government level. Besides, it is expected to help in the promotion of Nepali cricket and find out new talents. Pokhara Paltan (franchise owner: Binayak Pokhreli;marquee player: Sharad Veswakar), Butwal Blaster (owner: Ram Bahadur Bista; marquee player: Sompal Kami), Expert Dhangadhi Blues (owner: Sanjib Sharma; marquee player: Dipendra Singh Airee) Chitwan Rhinos (owner: Rahul Mahara; marquee player: National cricket team captain Paras Khadka), Biratnagar Titans (owner: Paras Luniya; marquee player: Sandeep Lamichhane) and the Hulas Kathmandu Royals ( owner: Rajyalaxmi Golchha and marquee player Gyanendra Malla ) are the teams selected for the annual T20 cricket league. The PPL has already achieved recognition from the International Cricket Council. The winner of the league will go home with a cash prize of Rs 2.5 million.